Rodney Harrex is the Chief Executive of the SATC. He has been in this role since April 2013 and is tasked with the objective of leading a dynamic, innovative and creative team at the SATC that makes South Australia a growing destination choice for international, domestic and South Australian travellers. Rodney has been instrumental in increasing the recognition of the value of tourism to South Australia and its contribution to employment. He recently led the introduction of new direct international flights from China Southern Airlines and Qatar Airways. He also spearheaded the development of the South Australian Tourism Plan 2020. Under his leadership, South Australia has won the right to host many world class events, conferences and exhibitions while South Australia’s visitor economy has grown to over $6 billion. 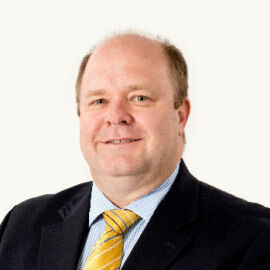 Rodney joined the SATC after a 25 year career with Tourism Australia, where he rose to the position of General Manager, UK and Northern Europe after working in various international markets and Sydney.